SoSav - Our commitment for the sustainable development. With SOSav, you can plant a tree by repairing your smartphone! At SOSav we’ve been helping you repair your smartphones, tablets, and consoles for years, saving you money and helping the environment! Yes, repairing your phone instead of binning it is ecological! By not throwing away a functional device, you’re reducing the creation of e-waste. So, today we decided to push our campaign for the environment even further by becoming a partner of Reforest'Action. It means planting a tree for only £1.05p! 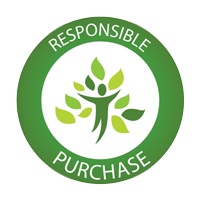 You’ll therefore compensate for the CO2 emissions created by the manufacture and transport of products you buy, all by contributing to the reforestation of our planet in order to preserve it for future generations. The human race has almost reached the point of no return to protect our planet, so it’s time to take action together to shift our course! By replanting trees, we aim to become carbon neutral. This will also fight against global warming and create and reinforce biodiversity. You now have the opportunity to participate in our commitment to preserve and rebuild a healthy environment. With every order you make on our site, you’ll have the opportunity to add “plant a tree” to your basket for only £1.05p. Your £1.05p is automatically sent to Reforest'Action who will then use it to plant your tree. SOSav is helping you repair your device, and be a responsible consumer! Once you’ve donated, you can share your planting certificate on social media. I'll repair my device and plant a tree!